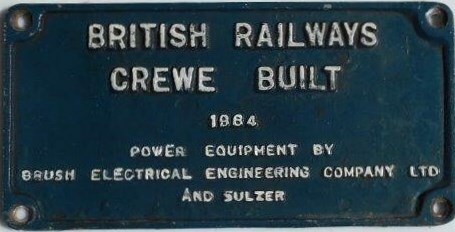 Lot 60 Alloy Diesel Locomotive Worksplate "BRITISH RAILWAYS - CREWE BUILT 1964". As carried by a Class 47. Ex Loco.